Raai Laxmi is elegance personified in this still from Neeya 2. The lovely Raai Laxmi is one of the most popular stars in Southern cinema today. And, now, she is in the news for an awesome reason. As it so happens, a still from her eagerly-awaited Neeya 2 is creating a buzz amongst fans for all the right reasons. In it, she can be seen in a simply mesmirising avatar that she carries off like a boss. Her imploring expressions gel well with the look and up its recall value in a big way. Her new avatar truly is breathtaking and is bound to make movie buffs go weak in the knees. In case you did not know, Neeya 2 is a ‘violent love story’ and also features Jai in the lead. The film also features Catherine Tresa in a key role. 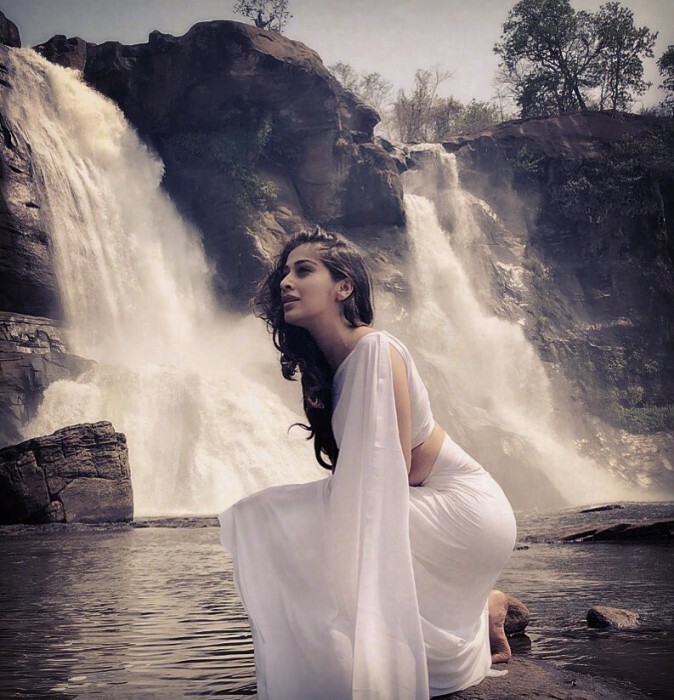 A while ago, Raai Laxmi had said that she will be seen in three different looks in Neeya 2. “Neeya 2 has elements of fantasy, thriller, love, etc. This, too, is a ‘snake film’ like the yesteryear flick. I will be seen in three appearances in the movie; one among them will have a ‘naagin’ look. All the three heroines in the movie appear in different time periods — present, past and future. However, I have combination scenes with the other two,” she had told a daily. Interestingly, 2017 was a busy year for Raai Laxmi. She made her B-town debut with Julie 2 and added a new dimension to her career. Despite its bold content, it did not work at the box office. While talking about, she recently told Pinkvilla(South) that has no regrets about doing Julie 2. “It was a good launch in terms of the scope and it does not matter that it did not do well. I have been getting a lot of enquires and the door has opened for me in Bollywood,” she added. So, did you like the still from Neeya 2? Comments, please!